I’ll be the DJ for the pre-show and post-reception for this great show happening at The Music Center in Downtown Los Angeles. I’ll be spinning an all-vinyl set of african, international, soul, and jazz. 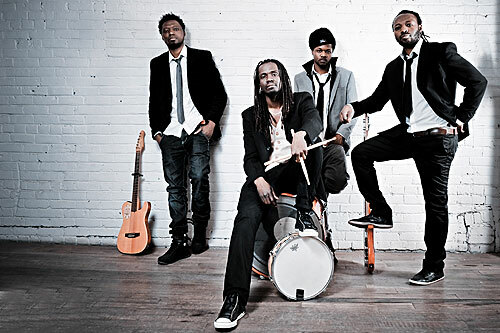 H’Sao, a Montreal-based band originally from Chad, has travelled the world delivering electrifying performances and developing a musical signature that spans several genres. Whether it is labeled Afro-fusion or Afro-jazz, H’Sao’s is defined by the strength of its voices and impressive a cappella harmonies. Brothers Caleb (guitar), Mossbass (bass), and Izra (keyboard), alongside childhood friend Dono (drums) have stayed true to their roots and draw from gospel, soul, R&B, reggae and Chadian music to deliver an unforgettable performance. Join us for this rare Los Angeles performance and enjoy cocktails at The Oval Bar with artist CD signing.